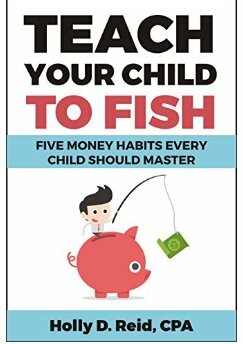 This is an excellent guide for teaching children how to handle and save money. The book has nothing to do with fishing. Written by a CPA, the language is not complicated but clear and easy to follow. As a bonus, the author includes a downloadable printable workbook to accompany the text. In the first chapter children are introduced to why we work and the kinds of tasks children might find engaging. Chapter Two explains how to be conscious about spending and how to do so wisely, stressing what is worthwhile and how we can help community, Chapter Three encourages children to save and invest and lays out different ways to do so. In the fourth chapter children learn how to be responsible with credit, how it works, and how to minimize debt. In the final chapter the author talks about how give generously to others in their community. I particularly enjoyed the recommended activities section at the end of each section and the final thoughts in which the chapter is pulled together. While the author is a CPA, she also presents a strong Christian viewpoint and quotes scripture to reinforce her lessons. This book may serve as a reference manual to be implemented at many different stages in a child’s life. I particularly recommend it for parents of children in the eight to twelve age group. I hope that you will find the advice useful!